Oh, my goodness, I just had such a good burger at VEG! 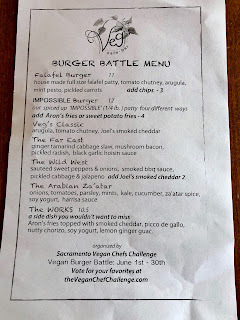 They are offering several different burgers during this month’s Great Sacramento Vegan Burger Battle, which made trying to pick just one really difficult. After much deliberation, I chose the Far East Burger, which consists of their version of the Impossible Burger (it has a different combination of spices than other Impossible Burgers I’ve had), ginger tamarind cabbage slaw, mushroom bacon, pickled radish, and black garlic hoisin sauce, served on a really good bun. I often find myself poking through my burger because there’s something or another that I want to take off of it (usually onions), but with this burger, I loved every part of it. 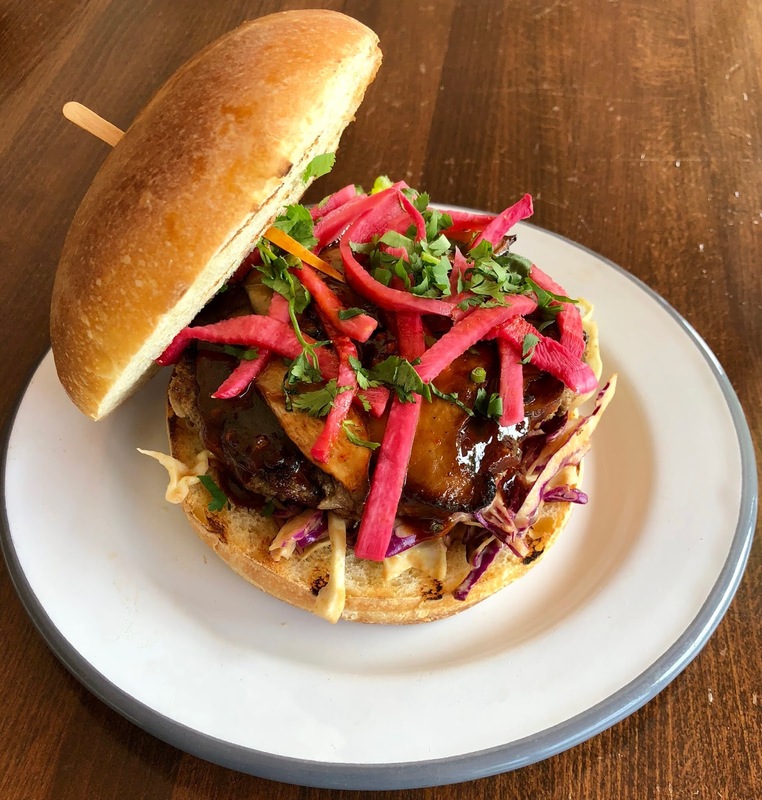 If this one doesn’t tempt you, check out their falafel burger, or one of their other three Impossible Burger creations. VEG is located at 2431 J Street, upstairs from Thai Basil, and their phone number is 916-448-8768. 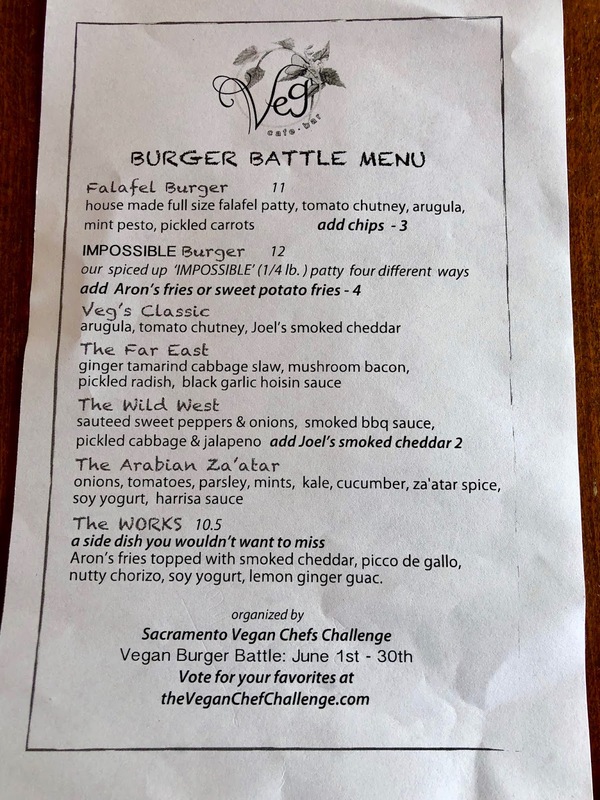 Their website address is http://www.vegmidtown.com/, and their Facebook page can be found at https://www.facebook.com/vegsacramento/. The burger battle menu is available Tuesday through Friday from 11:00 a.m. to 9:00 p.m., and only for dinner on Saturday.